In the context of 'The Neon Handshake', 'Retreat' was probably an ace idea; the comedown after the vigorous rock workout, letting you catch your breath before you hit the play button again. Yeah, it was a good idea. Was. In the context of a single, however, 'Retreat' doesn't quite work. Justin Schlosberg's impassioned, vitriolic spits of "has the devil got my number?" will send shivers down your spine, until something else grabs your full attention... wait a second... I know why this isn't as good as 'You Drove Me To It' or 'I Can Climb Mountains'! It doesn't have a chorus. 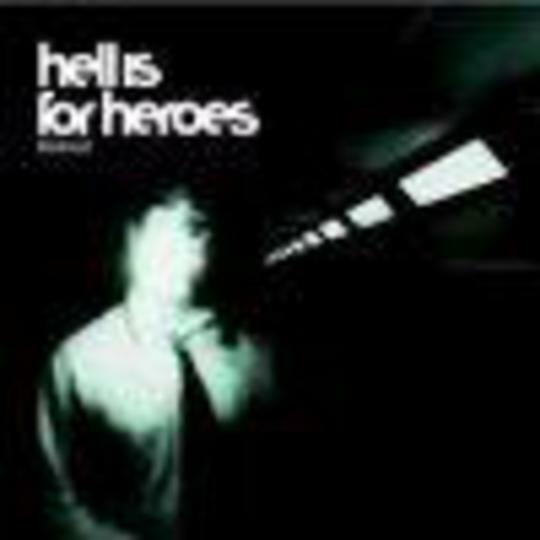 And without the killer choruses that they've become known for, Hell Is For Heroes can be a bit boring. Guitars that fade in and out, but never reach rock proportions; vocals that seem destined to belong to one scale; a rhythm section that fails to take off. It's a shame that this is the last recorded noise from Hell Is For Heroes for a while, because they've gone out with a whimper instead of a bang. However, you'll want to buy this anyway, simply for their covers of Black Sabbath's 'Changes' and The Cure's 'Boys Don't Cry'.